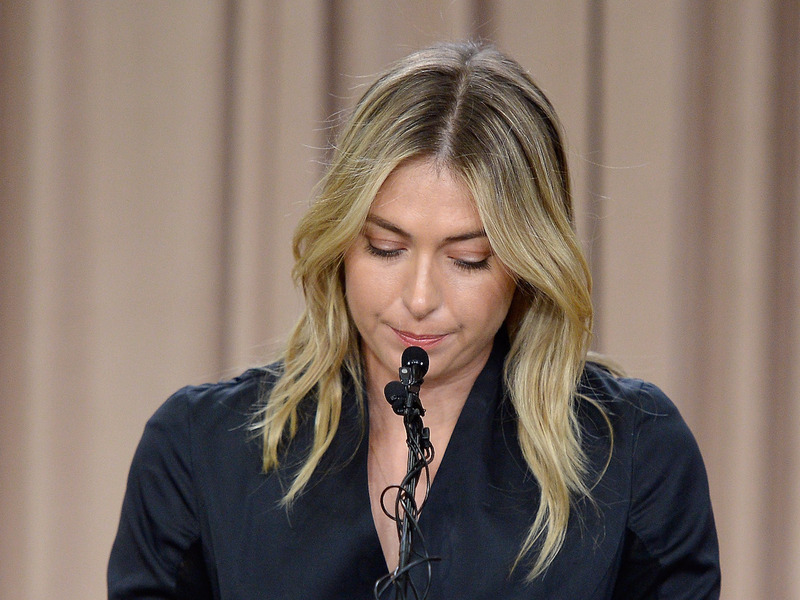 Two of Maria Sharapova’s biggest sponsors are saying that they will stick with her, despite the Russian athlete being handed a two-year ban from the sport on Wednesday for failing a drugs test earlier this year. Sharapova’s racket sponsor Head has always said it would continue its deal, despite her admission that she had taken the recently banned substance. In a lengthy statement sent to Business Insider, Head chairman Johan Eliasach criticised the ITF’s decision, which he said was based on a “flawed process” undertaken by the World Anti-Doping Agency (WADA). However, some of Sharapova’s other sponsors are postponing their deals with the five-time Grand Slam champion. Jean-Claude Biver, Tag Heuer CEO, said: “We now have some time and as she is suspended for two years we are not in a hurry anymore to sign a new contract today or this month. We will see later what we are going to do. Porsche, which announced in March it was suspending its deal with Sharapova, was not immediately available for comment. Avon and Evian, which have yet to make any statement so far about their relationships with Sharapova, were also not immediately available for comment. The ITF announced Wednesday Sharapova’s two-year ban would commence from January 26, the day she failed a test for meldonium at the Australian Open. The tribunal found that she had not intentionally broken anti-doping rules but she bore responsibility for not noticing the drug had recently been added to its banned substances list. The tribunal also found she “concealed” her use of the drug from anti-doping authorities. 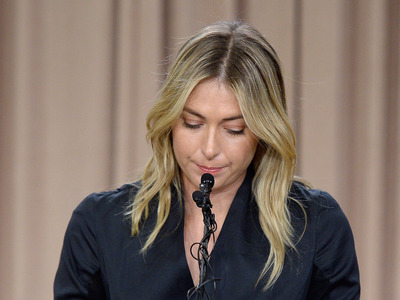 Sharapova says she plans to appeal the ITF’s decision, The Guardian reported. Using WADA’s decision rubric, WADA’s decision to ban Meldonium is not based upon extensive clinical testing that underlines Meldonium’s performance enhancing benefits. There are a limited amount of scientific studies that point to Meldonium’s cardioprotective and anti- ischaemic properties but nothing that correlates Meldonium as a performance enhancing drug. There are also no published studies that indicate that using Meldonium is detrimental to the health of an athlete. This indicates that WADA banned Meldonium without fulfilling their first two rules. The only condition that could potentially be argued in favour of WADA’s rules is that the prevalence of Meldonium use amongst certain groups of athletes violated the spirit of sport. This is subject to interpretation and if deemed correct would only fulfil a single rule. In order for a product to be banned it must fulfil two rules. Without necessary and extensive clinical testing that highlights either Meldonium’s performance enhancing benefits or evidence of it being detrimental to athletes, it is evident that WADA banned Meldonium based upon the amount of athletes using Meldonium rather than any scientific evidence. WADA have a responsibility to make decisions based upon scientific inquiry rather than prevalence of use and most importantly must fulfil their own rules when making such decisions.